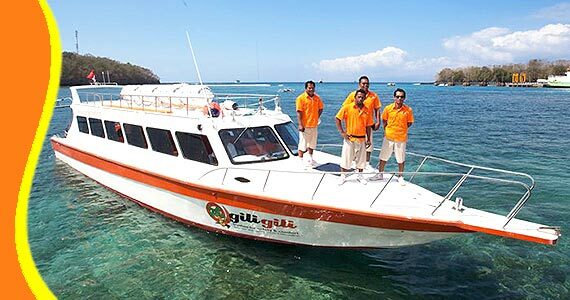 Gili Gili fast boat will ensure your comfort on the way from Bali to Gili with the international standard and of course guided by experienced staff and friendly. Gili Gili Fastboat cruises from Padangbai port or Serangan in Bali to Teluk Nara port in Lombok, Gili Air Island, Gili Trawangan Island, then back to Padangbai port or Serangan Island in Bali. All the things you want to do at the thought of a holiday on the beach, swim in the crystal clear sea, eat delicious food in a romantic beach side restaurant, enjoy a cocktail by the pool, or dancing in the moonlight. That’s all there is in Gili Island Lombok. The Gili's very beautiful nature like painting, clear skies, crystal clear sea, white sand and clean cool air and scenery that can be enjoyed. Also the beauty of the underwater scenery can be found just a few steps in front of you. Now you can visit and get your holidays to Gili Air, Gili Meno, Gili Trawangan and Lombok by cruise from Bali with Gili Gili Fast Cruise. 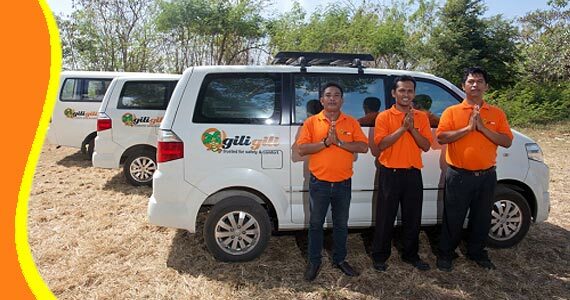 That will ensure your comfort on the way from Bali to Gili with the international standard and of course guided by experienced staff and friendly. Immediately plan your vacation to Gili with family, friends and colleagues and contact Arunatoursbali to get more information about Gili Island and How to get there. - 40 life rafts, with hydrostatic release and manual release (these automatically inflate if the boat sinks, or can be operated manually). - EPIRB (Electronic Position Indicating Radio Beacon). When immersed in water the EPIRB automatically sends an SOS signal via satellite to the authorities, informing name of vessel and precise location. Continues to send signal for up to three days. - All trips include hotel transfers in Bali area, insurance, buffet morning coffee/tea prior departure and mineral water served on board. - Rest Room, Waiting Room and Restaurant. Call & Text Messaging (Chat, Google+, Line, Whatsapp or SMS) our customer services team on the number above, to speak to one of our Gili Gili Fast Boat Tripadvisor who will help you with all of your holiday needs. For further information Gili Gili Fast Boat Cheapest Price, Bali Gili Gili FastBoat Price, Bali Gili Fasboat Product Details, Bali Fastboats Gili Gili Package Voucher, Promo Gili Fast Boat, Bali Fast Cruise Gili Gili Discount, Fastboat Bali Rate, Bali Fast Cruise Price Promo, Gili Gili Fast Cruise Bali Rate deals, Bali Fast Boat Price, Fastboat Bali Prices, Cheap Bali Fast Boat Gili Gili, Cheap Gili Gili Fastboat Prices. Get a Bali Transport from your stay (Contact us for Cheap Bali Transport). 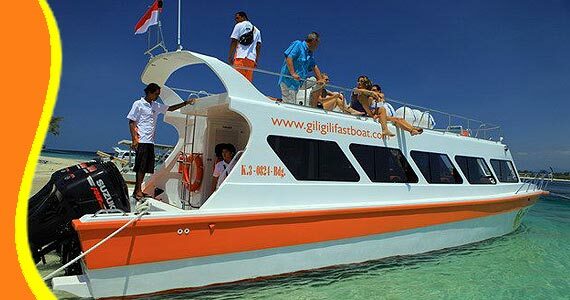 Gili Gili fast boat also can arrange a Free Transportation including into your Trip Package. Road transportation is provided free of charge to/from ONE SPECIFIC ADDRESS in designated areas of Bali (Kuta and Sanur). This address must be specified at the time booking, and cannot be changed. Free AC Hotel transfers are INCLUDED for central area (Sanur, Kuta, Legian, Seminyak, Jimbaran, Nusa Dua, Tanjung Benoa, Denpasar, central Ubud and Padang Bay). Complimentary cake, mineral water and face towel on board. 30 or 36 relaxing and individual reclining seats. Spacious and cozy interior with toilet. Complimentary map upon boarding (map & information about Lombok, Bali & The Gilis). 2 pieces of luggage per pax is free (please advise of any specific luggage requests upon reservation). An additional charge of IDR. 50.000 applies for surf boards (max length - 2,5 meters). Please inform us of all luggage requests upon reservation to enable us to reserve space on the boat and in our transportation vehicle. Additional charge for transfers service of area : Padang Padang, Balangan, Uluwatu, Amed 400.000, Tulamben, Canggu, Tanah Lot, Candidasa, Sengkidu, Ubud (Payangan, Tanah Merah, Tegal Alang), Sidemen Karangasem, Medewi Negara. 1. 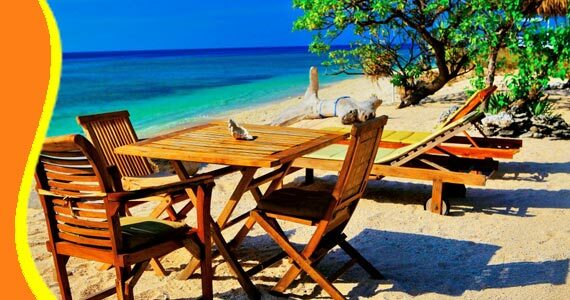 CIDOMO COST(Harbour to Hotel in Gili Trawangan / Gili Air), Rate : IDR 100,000 – IDR 150,000 (one way). We provide only from harbor to hotel. Private Horse / Cidomo max 3 pax, the depending on the location of your hotel. 3. 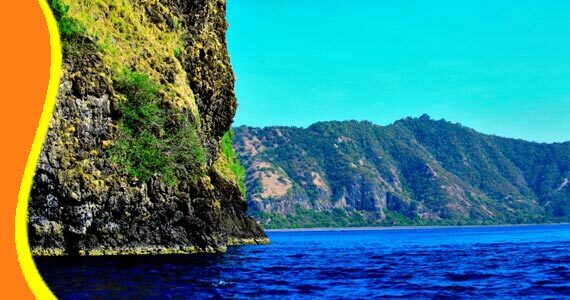 Teluk Nare Harbour – Senggigi Area CAR TRANSFER COST, Rate IDR 250,000 (one way), Private car max. 4 pax. 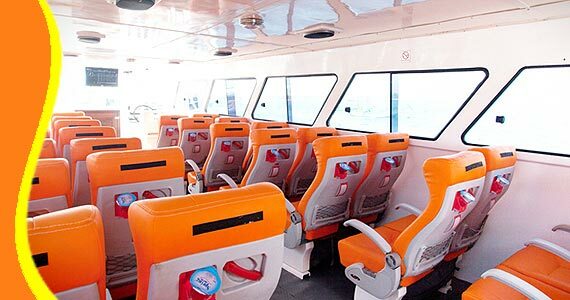 - Advance reservation must be made directly to Gili Gili Fast Boat Office. 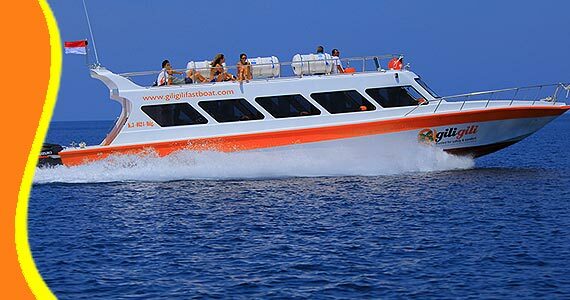 - Gili Gili Fast Boat will not be responsible for any booking made without prior confirmation from Gili Gili Fast Boat office. - The above special rates may be subject to change based on fuel increases without prior notification to the agent. 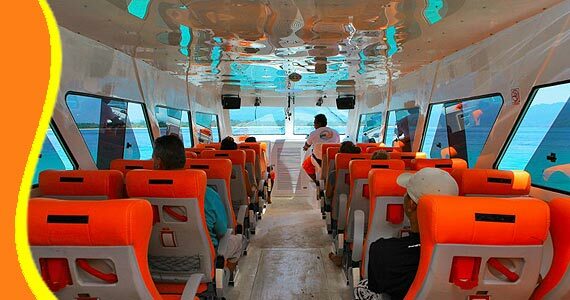 “Best way to get to Gili Islands (Canbi - Australia)"